The Guest Speaker Session was an enlightening experience for all the attendees of FORMUN’14. 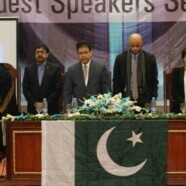 This session was held on the 17 January 2014, where highly-experienced speakers from all walks of life added to the merit of the conference. 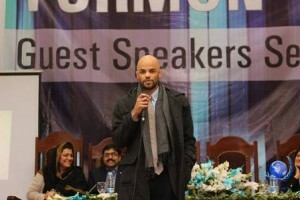 The session began with a speech by Junaid Saleem, host of Hasb-e-Haal. He stressed that one needs to take power from the feudal elitists, who make myths surrounding politics to discourage involvement. He warned that in a country that doesn’t have self esteem, its people don’t either. He encouraged the youth in the audience to take a stand against the problems plaguing the nation. 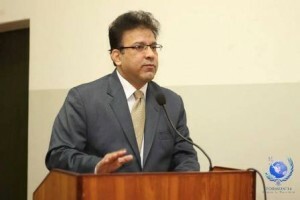 His moving speech was followed by that of Sarah Belal—a renowned lawyer of Pakistan, head of Justice Project Pakistan who discussed the major reasons of starting JPP. These are mainly aiding vulnerable prisoners treated brutally, redefining laws against criminals, and educating more lawyers about these issues. 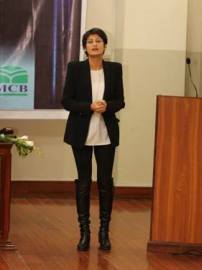 She made the audience aware of how many people are on death row in Pakistan and the injustices they face as prisoners of not just the legal system but also fate as some of the people are innocent of the crimes they may have committed or else may be suffering from mental disorders which need serious treatment. 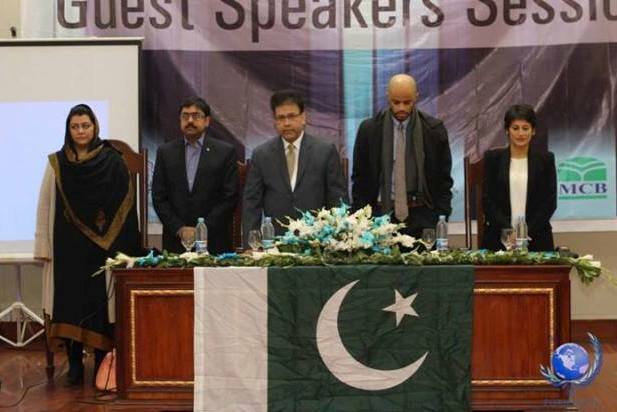 Thereafter, representatives from the UN High Commission for Refugees drew the attention of the audience towards the pertinent issue of the refugee crisis in Pakistan, and the various steps that were being taken to ensure they have a legal status in the country. They quoted the statistics about refugees in Pakistan and also spoke about how a policy needs to be formulated that specifically deals with the rights of these refugees. Lastly, Benjie Williams, co-founder of Amal Academy speaking to the delegates. He talked about the subtle qualities needed to land a successful career, such as confidence and organization, and highlighted his workshops to help the youth transition from college life to a professional forum, asserting that his achievements came from small, baby steps. The guests then took a few questions, and after expressing his gratitude to the speakers, Dr Hamid Saeed, Registrar FCC, closed the session.